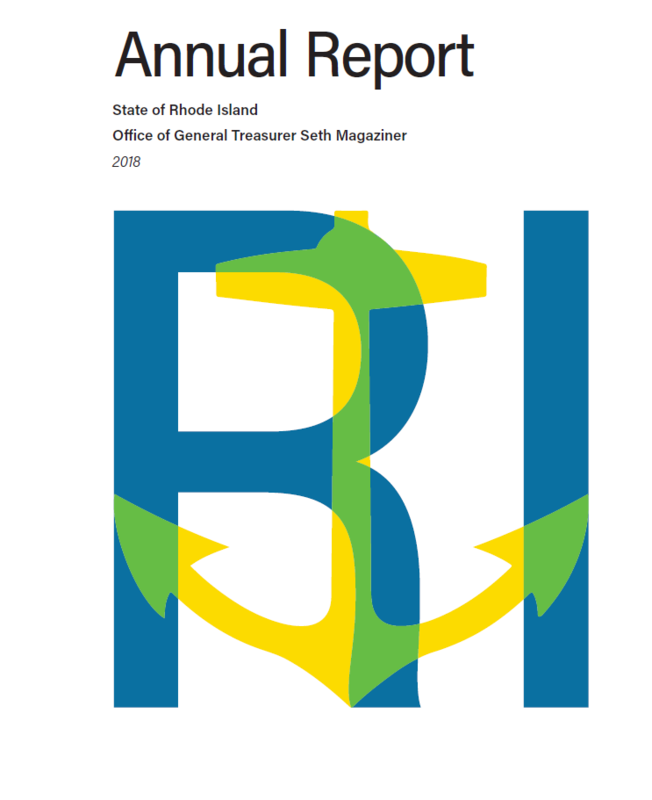 Treasurer Magaziner's 2018 Annual Report highlights his Office's work to support small businesses, make a once-in-a-generation investment in schools across Rhode Island, and how his office is returning millions of dollars in unclaimed property back to its rightful owners. - Helping hundreds of small businesses get the financing they need to expand and hire employees, through the Treasury's new BankLOCAL program. - Working with stakeholders to produce a historic statewide school construction plan to ensure that all students attend schools that are warm, safe and dry and equipped to provide a 21st century education. - Reuniting nearly 50,000 Rhode Islanders with their unclaimed property through Treasurer Magaziner's YOUR MONEY program. - Receiving recognition for financial transparency and high-quality financial reporting for the state pension system. - Maintaining CollegeBound's status as one of the highest-rated 529 college savings plans in the country. - Assisting 1,200 Rhode Islanders who were victims of violent crime through the Crime Victim Compensation Program, including over 250 children who were able to access mental health counseling.